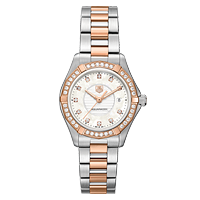 Established in 1860, TAG Heuer has enjoyed a long and rich history as a fine Swiss watchmaker. 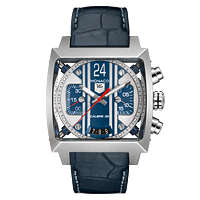 The brand’s intimate and passionate involvement with motorsports over the years have endeared them with watch collectors and automotive enthusiasts the world over. 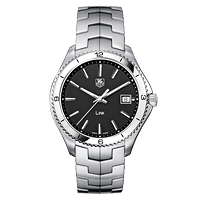 TAG Heuer’s automotive link was cemented in the early 1900’s when they began producing dashboard mounted clocks and chronographs. 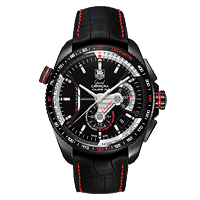 This segued into the design and production of leading professional timekeeping equipment for auto racing and various other sports. 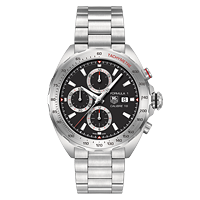 In 1963, TAG Heuer launched the motorsports inspired Carrera Chronograph, a model that would become an icon for over 50 years which is still in production today. The marriage between TAG Heuer and the world of motorsports was strengthened even further after the release of the 1971 film, Le Mans, in which Steve McQueen proudly wore a TAG Heuer Monaco. Today, TAG Heuer is partnered with the Red Bull Formula One team, continuing their proud tradition of supporting the top motorsport series in the world. Constant technical advancement and genuine innovation have led to the release of many groundbreaking TAG Heuer timepieces, including the world’s fastest chronograph – the Mikrogirder – which is accurate down to 5/10,000ths of a second. 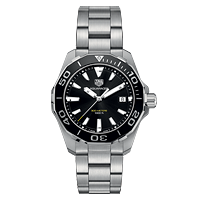 Authentic TAG Heuer watches are still a highly coveted collector’s item today, with current offerings including the Formula One, Aquaracer, Link, Monaco, Carrera, Grand Carrera, and Connected models for both men and women. 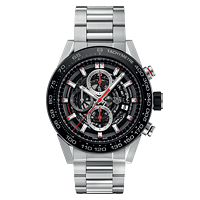 TAG Heuer has been actively endorsed by international celebrities for decades, including Steve McQueen, Muhammad Ali, Brad Pitt, Leonardo DiCaprio, Cameron Diaz, Uma Thurman, Tom Brady, Tiger Woods, Cristiano Ronaldo, Jeff Gordon, Ayrton Senna, Juan Pablo Montoya, Kimi Raikkonen, Lewis Hamilton, and Fernando Alonso.